An extensive refurbishment has paved the way for a major new corporate tenant in the biggest office lease to be negotiated in Melbourne’s city fringe this year. Colliers International’s Ben McKendry and Rob Joyes have facilitated a new 10-year lease to Mondelez at 75 Dorcas Street in South Melbourne. 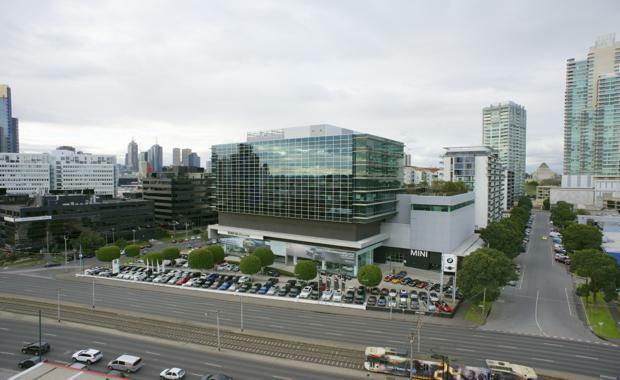 The deal – the most substantial city fringe lease to date in 2015 – will see Mondelez occupy approximately 4,600sqm on Level 10 and part of Level 9, from late 2015. Mr McKendry said long time tenant ANZ renewed their option in March 2015 and repositioned their tenancy within the building, which freed up two floors for a new tenant. “This building has been occupied by ANZ as its sole office tenant since its inception in 2002, so as part of this leasing campaign it was decided that the opportunity was ripe to reposition the building to take it into a new era of office accommodation,” Mr McKendry said. “It was already a relatively new building, which is a rarity in the city fringe office market in its own right. However, there was definite potential to take it to the next level with refurbishments that would improve the base building services, entry lobbies and end of trip facilities on offer to occupants. “It is now a best-in-class building offering city fringe tenants something they don’t often have access to in this market – a modern, near-new A-grade building reminiscent of a CBD, Southbank or Docklands A-grade building.